This Charred Grapefruit Vodka Tonic is so easy to mix up with bottled syrup! 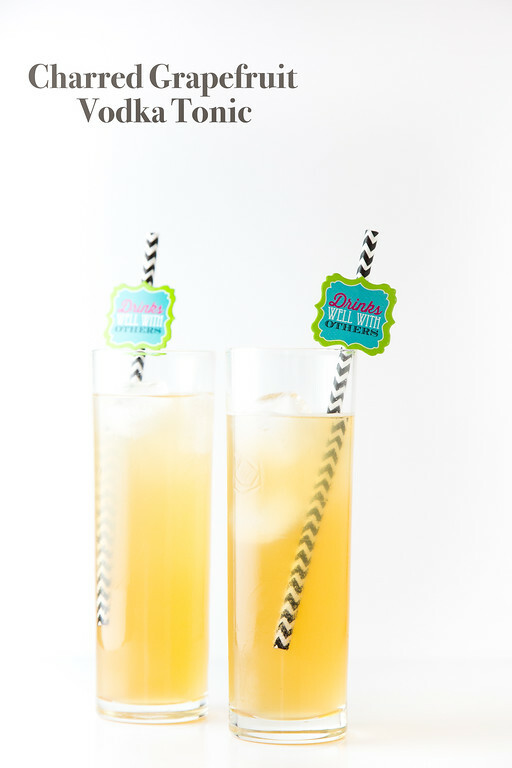 Click here to pin this Charred Grapefruit Vodka Tonic now! I love a homemade made from scratch cocktail as much as the next guy. Just last week I posted a Hibiscus Collins using homemade infused hibiscus simple syrup! How’s that for some made from scratch cocktails?! But sometimes, I want to take the easy way out. Let someone else do a bit of the work for me. Put together some flavors that I just don’t have time to do. So, when I saw Bittermilk Charred Grapefruit Tonic, it sounded perfect! I loved the sound of charred grapefruit and it sounded perfectly lovely that someone else was going to be charring the grapefruit for me. It sounded like a Charred Grapefruit Vodka Tonic was in my immediate future. Post may contain affiliate links. Disclosure is on sidebar. 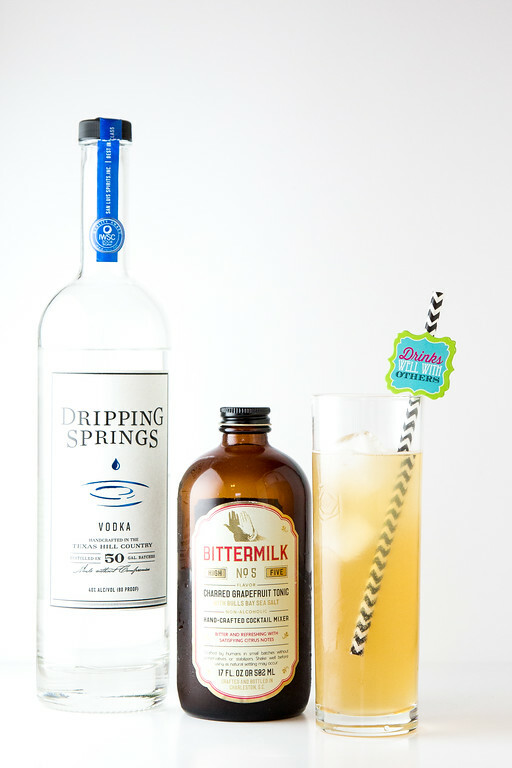 So, I gathered up some favorite vodka, Dripping Springs and my Bittermilk Charred Grapefruit Tonic and some sparkling water. Bam. Charred Grapefruit Vodka tonic made. Seriously, it was ready in two minutes. I added a cute straw, and headed out back to our screened in porch. Oh wait, first I took photos, always on the job, you know!! Also, this is not a sponsored post. These are just things that have made my cocktail life very tasty indeed. You're going to love how easy this Charred Grapefruit Vodka Tonic is! Fill a tall cocktail glass with ice. Add syrup, vodka and sparkling water. Stir to combine. Belated happy Mother’s Day to you! That cocktail sounds amazing. I love everything from Bittermilk!! This cocktail looks so refreshing! You find the most interesting products for mixing cocktails! Sounds refreshing. Glad you had the perfect drink for a happy Mother’s Day! What an interesting sounding tonic, Pam! It would make amazing cocktails and I love how you have used it here. Thank you for sharing with us at Hearth and Soul.